Studio Renew offers specialised services in heritage conservation and traditional interiors. Custom frameless glass experts for home and business..... Premium Frameless Glass specialises in the supply and installation of glass pool fencing, glass splashbacks, frameless shower screens, semi frameless shower screens and glass balustrading. We are a locally owned and operated company originating in Newcastle. Our team has over 17 years experience and our aim is to provide premium service, the highest quality products and advice at competitive prices to every customer; be it a home renovation or business. Local, professional painter and decorator. Eden Janissen Painting & Decorating is a family based business. Eden prides himself on a high standard of work. 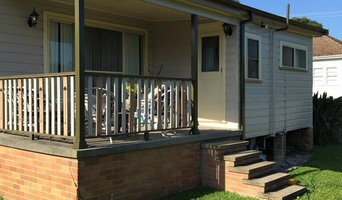 HV Aluminium is truly an Australian company that had its beginnings in the early sixties to service the then fledgling aluminium home improvement market. The pioneer for the family group of companies was Mr Walt Edwards, master builder and entrepreneur, and now four of his five children plus other family members are involved hands on in the HV Aluminium business. 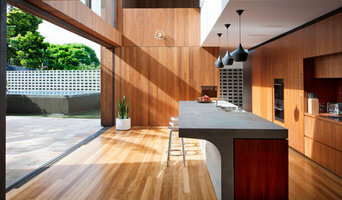 Always conscious of using only the best products and tradespeople, as well as having a company credo of doing “what is right” not necessarily what is financially expedient, it wasn’t long before HV Aluminium was the leading home improvement builder in Newcastle, Lake Macquarie and the Hunter Valley (New South Wales, Australia). Beginning with aluminium cladding, patio’s and screen enclosures, HV Aluminium’s product range has been in constant review. While fixed roof patio’s were the norm, HV Aluminium looked into opening roof systems and started marketing & constructing the first opening roof products in the mid 1980’s. It wasn’t long before product issues with these early opening roof systems encouraged the development of the Eclipse Opening Roof system by key HV Aluminium staff. The Eclipse Opening Roof system was launched in 1993 and continues to impress with its quality components and styling. Experience and know-how has allowed the company to take on new, fresh innovative products and ideas with confidence. The Paradise Room was another major success through HV Aluminium, released in 1998. The screen enclosure had been enhanced for a new market, wanting further control and higher standards in outdoor living areas. With flyscreen, weather resistant sliding sashes and an impressive 75% ventilation the Paradise Room has made a huge impact on the Home Improvements industry. A growing concern has been Energy Efficiency and Environmentally Friendly construction, now enforced through “Basix” energy rating compliance. HV Aluminium has been developing a new aluminium Sun Louvre Range to help provide more sun and shade solutions for home owners and architects. The elliptical Sun Louvres come in varying widths and can be fixed or operable. Eco Friendly options have never looked so stylish. Further more the service we provide through the office, construction and building staff is always of the highest quality. The staff at HV Aluminium are second to none, their job is to go the extra mile and make the addition of your customised area a breeze. Servicing Lake Macquarie Newcastle & Central Coast, Brent Heness Inspections offer pre-purchase building & pest inspections reports, swimming pool inspections & safety certification, Brent is also able to do termite treatments & baiting systems. we also use the latest in modern thermal imaging equipment. 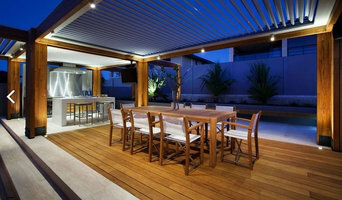 We specialise in owner-builder projects and DIY renovation builder projects. Homeowner builder specialist.We engineer our roof trusses to exceed your expectations. Heyden Frame & Truss will make our trusses with the strength and flexibility you need in your Central Coast home. We build to AS1684 Australian Standards, so you can know that we'll give you high-quality work each and every time. Servicing Sydney, Northern Beaches, Northshore, Central Coast, Newcastle, and Hunter Region. AcroCert Pty Ltd was first established in 2004, with an office located in Maitland in the NSW Hunter Valley. AcroCert’s accredited certifiers have significant and detailed experience in a wide range of residential and commercial developments. Our professional staff have gained considerable experience through working for all tiers of government on many significant housing and development projects across Australia. AcroCert was the winner of Most Outstanding Specialised Business of the Year in the 2005 Hunter Business Awards. During 2013, AcroCert issued over 1,600 certificate approvals with a construction value of more than $400 million. NAC provides consultancy services to all sectors including government, commercial and domestic. We operate within an environmentally and cost effective framework always, ensuring the best possible outcomes are achieved for each client. We take a logical approach to our work ensuring our client’s needs and expectations are met. Located in Hunter Street Newcastle, our team are fully licensed and highly experienced within their field. Urban Certifying specialise in providing residential BCA consulting and certification services throughout Newcastle, Lake Macquarie, Hunter, Port Stephens and Central Coast Areas. Comprehensively insured and backed by 15 years in the construction and building certification industry, Urban Certifying provides a personalised and seamless end to end experience for your upcoming project. Certifying Solutions is a vibrant and innovative private certifier & building certification company servicing the Newcastle, Hunter, Central Coast and Port Stephens regions. Customer service is our top priority which is why our motto is "with us you're not just another number". We are a Principal Certifying Authority providing professional services to Architects, Builders, Developers, Draftsmen, Industry Experts, Designers, Solicitors, Conveyancers, Real Estate Agents, Home Owners and Owner Builders. SimplyFrameless Glass Concepts Newcastle is a locally owned small business that provides custom frameless glass solutions for your build or renovation. We pride ourselves on being creatively different, designing each job to completely suit the space provided. 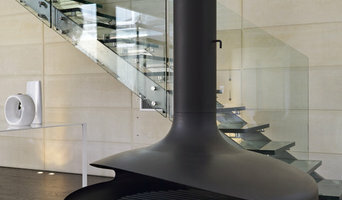 Our knowledge of glass is second to none and will save you both time and money. As small business owners we aim to provide a personalised, quality service to meet the needs of our diverse customer base and we hold great value in creating lasting relationships. We provide full design and installation of a range of frameless glass products including showers, splashbacks, mirrors, pool fences and balustrades. All using top quality glass, fixtures and fittings. We currently service the Newcastle, Hunter Valley, Port Stephens & Lake Macquarie areas. We use all the latest in technology. Thermal Imaging Cameras Moisture Meters & Boroscopes. As they juggle your demands and the work of home builders, the Newcastle, New South Wales building project manager often benefits from a construction industry background. This may also assist you when you need to hire additional contractors. Look in the Professionals section of our website under Newcastle, New South Wales specialty contractors, then select the nearest metro area for a contractor. You can also look through New South Wales photos of completed projects to see how a contractor might approach design challenges.